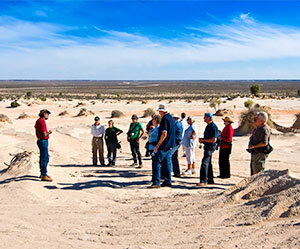 The Culgoa National Park, which shares its northern border with the Culgoa Floodplain National Park in Queensland, is relatively small park but is no less important in its location in the Murray Darling basin in addition to Aboriginal and European culture. 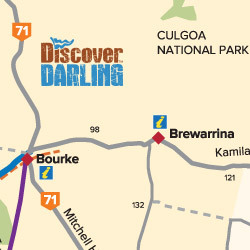 With the Coolibah-lined Culgoa River running through it it is a birdwatchers paradise and a must after spring rains for those interested in outback wildflowers. The park offers the visitor camping and picnic areas which are ideal for car-based and caravan camping. 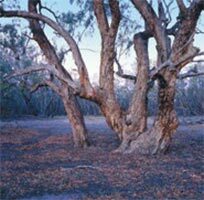 The Culgoa National Park, which shares its northern border with the Culgoa Floodplain National Park in Queensland, is relatively small park but is no less important. 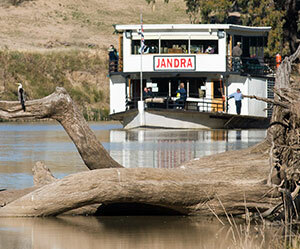 Its location in the Murray Darling basin in addition to Aboriginal and European culture makes this a unique park. 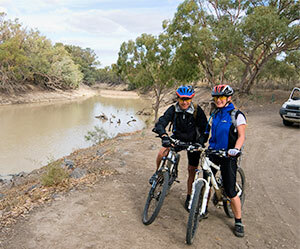 Culgoa National Park is 100 km north of Brewarrina or 180 km north east of Bourke. Roads to Culgoa National Park are unsealed dry-weather roads. 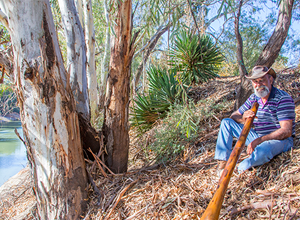 There is a wonderful camping site among the gidgee trees a near the river and perfectly located to the Riverbank and Connelly’s Walks.